Often after a fulfillment, we would like to know if the user is satisfied with the answer, or has another query, which is why we use re-prompt. After the initial 8 seconds, a re-prompt message appears and the user is given another 8 seconds to input a command in the session. If the user still doesn't respond, Alexa ends the session. "text": "Yeah, sure. You can claim expenses through Keka." "text": "Do you want to know anything else?" Mostly, the re-prompt is a means to confirm that the user got what he wanted. User can simply respond with a Yes or No. 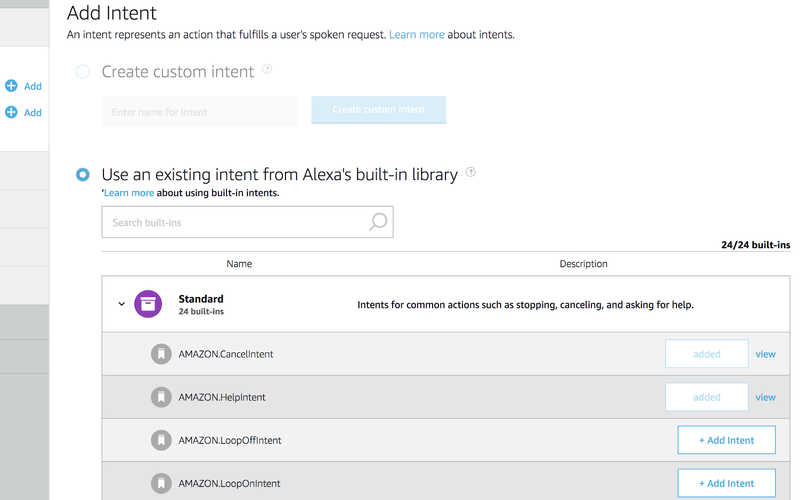 To Handle the re-prompt request we can use in-built Amazon intents. While there are lots of in-built intent, we particularly use AMAZON.YesIntent and AMAZON.NoIntent for the re-prompt purpose. So when the user responds with a Yes or No, these intents get triggered and respond back accordingly (close the conversation or keep it open). Display Interface Reference is triggered when a user selects action element on the screen. So in our code, we will get this request with token values close_session or open_session and we can respond back accordingly (close the conversation or keep it open).